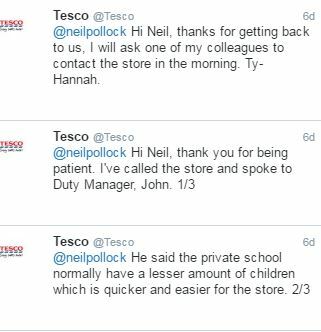 An Edinburgh dad claims Tesco is treating private and state school pupils differently. Parents say Boroughmuir High teenagers are having to queue outside while George Watson's College are allowed into the shop. The firm has told Heart the claims are untrue. Shop bosses said queues did have to be in place at times during busy periods.